International news gets personal as Rick's friends give us a peek into what current affairs are on Germans' minds, and a tour guide from Turkey explains what prompted her to join the thousands protesting in the streets of Istanbul last year. 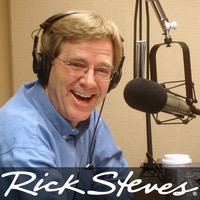 Plus, Rick shares travel notes with listeners about Egypt, Italy, and France. The English-language online version of the German publication Speigel International keeps track of politics in Germany. Websites for the German bands Culcha Candela and Seeed, and for the Berlin-based singer Laura López Castro. Wikipedia provides a detailed timeline of the 2013 protests in Turkey. Feluccas are a traditional way to cruise the Nile River. The Guardian writes about the calanques near Cassis, France. Wikipedia notes that Trapani, Sicily, has held all-day religious processions on Good Friday, called the Misteri di Trapani, for more than 400 years.